When the girls woke up on one frosty morning last week, they discovered that they’d had a very special delivery. Sitting on the doormat, guarded by our resident elf, Elsie, were two large letters addressed to Miss Mess and Mini Mess. 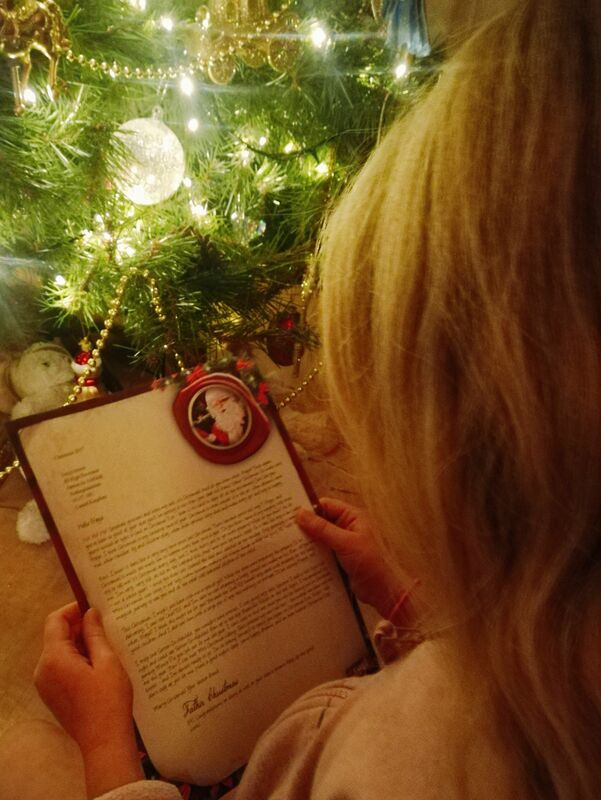 Miss Mess opened hers first and was delighted to find a personalised letter from Father Christmas, sent direct from the Lapland Mailroom. 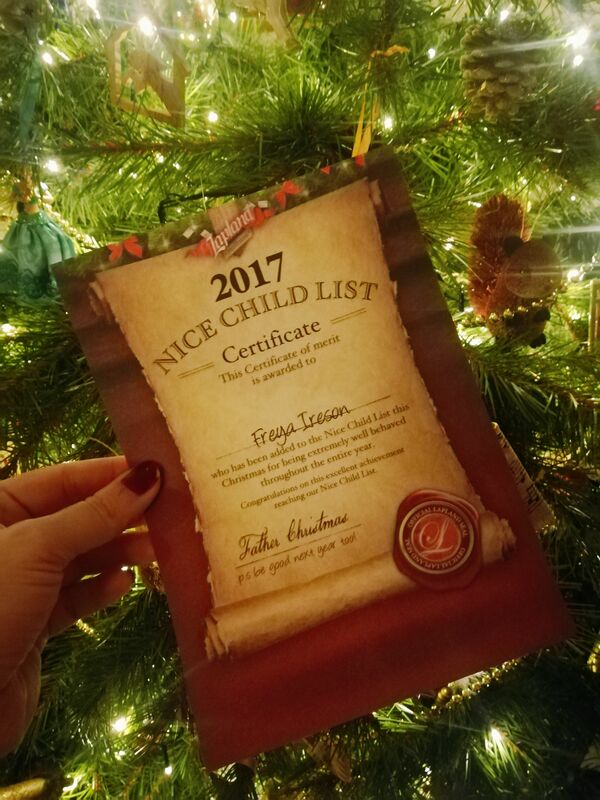 Included with the letter were a Nice List certificate and an activity pack. Miss Mess asked me to read the letter to her. I think the font may have been a little too flouncy for her to understand, not to mention the fact that it was a really long letter. It was a beautifully detailed letter. Miss Mess was amazed at how much Santa knew about her, including what she wanted for Christmas and how well she’d done in her dance exams. I was really impressed with the quality of the whole package. Both the letter and the certificate were printed on nice paper and the designs were lovely. 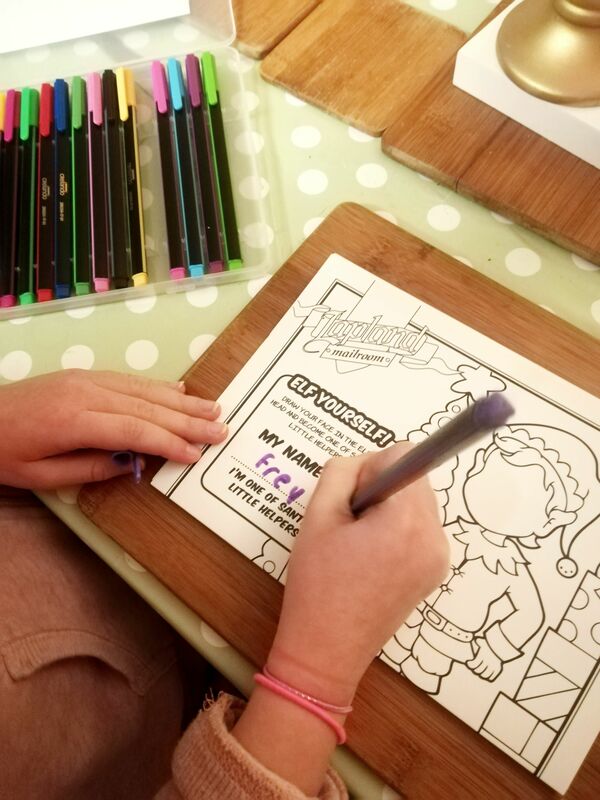 The activity pack had a good selection of projects for the girls to complete in the run up to Christmas, including Santa Stop Here signs and … Hopefully that should keep them entertained while I finish off the Christmas preparations. Perhaps my only criticism (small as it may be) would be with the envelope that the letters arrived in. Again, I liked the overall design but on the front was a stamp saying “Letter from Santa”, which I thought kind of gave the game away a little bit early. I would definitely consider ordering these letters again, although I do think that Miss Mess may be getting a bit too old to fully appreciate the magic. She was definitely giving me some very suspicious looks and even told me that she thought I had printed them out myself! 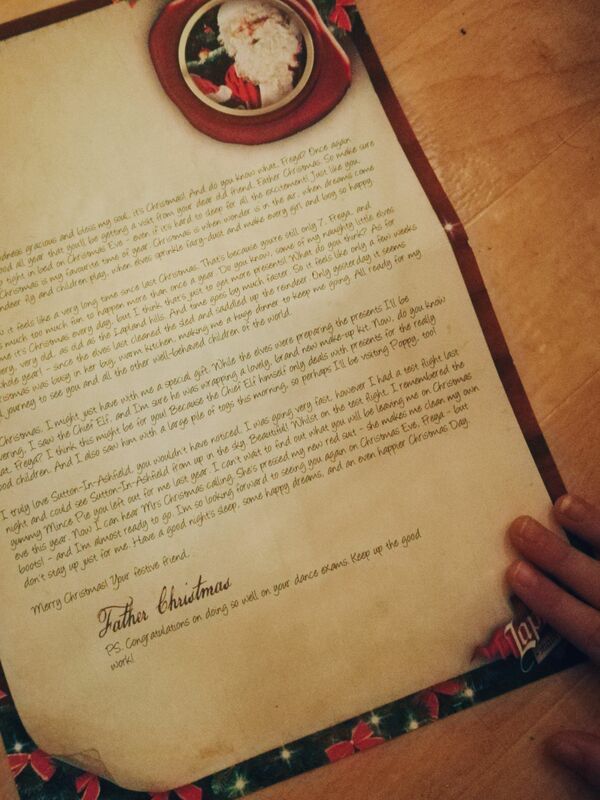 Although I’ve been terribly lax and should have posted this last week (as usual, life getting in the way of blogging schedules) you will still have time to order your own letter from Santa if you’re super quick! For more information regarding the ordering process (which is very straightforward), why not check out my original post Christmas Preparations feat. Lapland Mailrooms. It would be make an excellent Christmas Eve surprise! This post features items gifted to me for review purposes. All thoughts and opinions are my own. This entry was posted in Countdown to Christmas and tagged christmas, father christmas, letters from santa, parenting blogger.